I’ve never been one to own or use the most expensive rifle scopes on the market. I tend to place more value in my optics towards binoculars and spotting scopes. That said, I still expect a quality optical view on my firearms. Over the years I have used a few Nightforce SHV, Swarovski Z3/Z5’s, Vortex Viper HST, Sig Whiskey 5 and Leupold VX3 rifle scopes. With a list that long, it is obvious that I haven’t found a scope that I was either confident in or had all the options I was wanting. The Nightforce SHV 3-10×42 was a great scope without a zerostop, the Sig Whiskey 5 had good optics but again no zero stop (Gen 1). The Vortex Viper HST 4-16-x44 just wasn’t great optically and the turrets didn’t leave me feeling confident. I’m also not a fan of the compression style stop–it doesn’t stop on zero. The Swarovski Z3 4-12x50bt was a great lightweight and optical performing option, but only allowed for a single rotation of the turret and doesn’t have the most robust erector to instill confidence in twisting turrets often. I have read a few reviews over the last few years, but one particular Rokslide review on the Athlon Ares BTR 4.5-2.7 really intrigued me. I also found after further research that Athlon is a local company to me, founded by two former Bushnell employees. After talking to Robby, Roklide’s Editor, and Doug Paymer, head of Cameraland, we soon had a demo scope setup to test. As Athlon is close to me, I was able to stop by the Athlon Headquarters to pick it up. 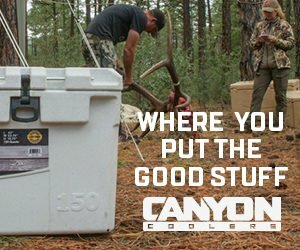 Talk about a great group of guys, very passionate about their products and shooting. 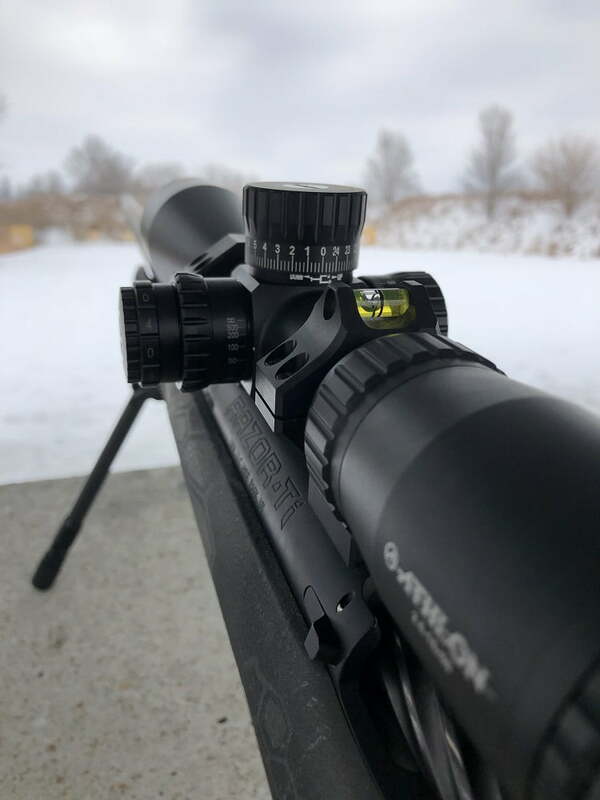 I believe Athlon has mainly focused their time and efforts towards the long-range shooting customer, which is not a bad thing as that is a great test bed for a quality repeatable optic that one would dial with. 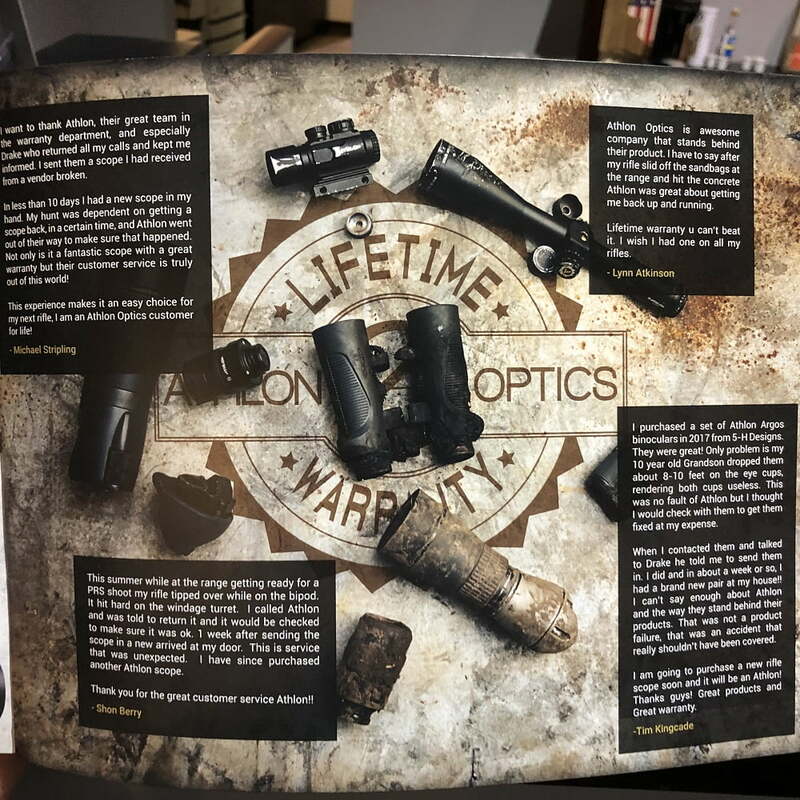 They were very honest and open in discussing their products and I was impressed with what they are bringing to the market in their various optic lines. They have 17 employees with three of these dedicated to Quality Control. They test every optic as it comes in, not just random samples like some companies. 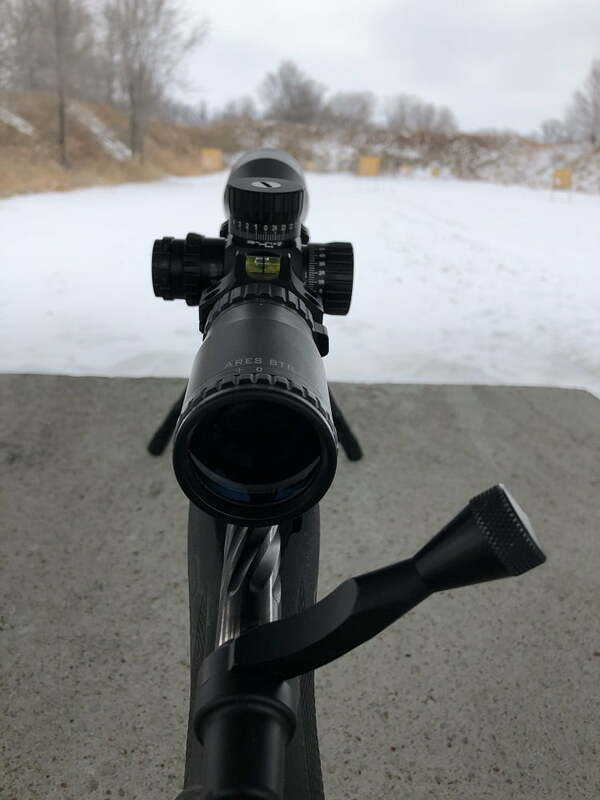 Yes, the Ares BTR is made in China, as are most of the Athlon products (the Cronus riflescope is made in Japan) but they seem to have a great process to limit the chances of a customer receiving an optic that is out of whack. OK back to the Ares BTR. I went with the MOA version in 2.5-15×50 which for me is an optimal range for the distances I’ll shoot. I’m a guy that hunts various areas and not all shots are at distance, and I don’t shoot extreme long-range. To find the specs of this scope I recommend that everyone goes to the Cameraland website instead of me just copying what the manufacture states. Initial impression was very good; the build quality seems just as good as the Nightforce SHV line. I was kind of shocked that no lens covers were included with the scope. I ended up putting a Butler Creek Bikini cover on to protect the lenses but other then that the scope comes with a manual, battery, and lens cleaning cloth. Once mounted, I immediately went to the range. After I had it sighted in, I was ready to start putting some rounds under it. My first testing was to get used to an FFP reticle and just going through the various levels of zoom. I am now sold on FFP over the SFP that I had always used. The reticle is not overbearing at all and in low light, the entire reticle when on 15x zoom illuminates but at 2.5x, the center cross hairs illuminate, both making it very easy to use and acquire the target. 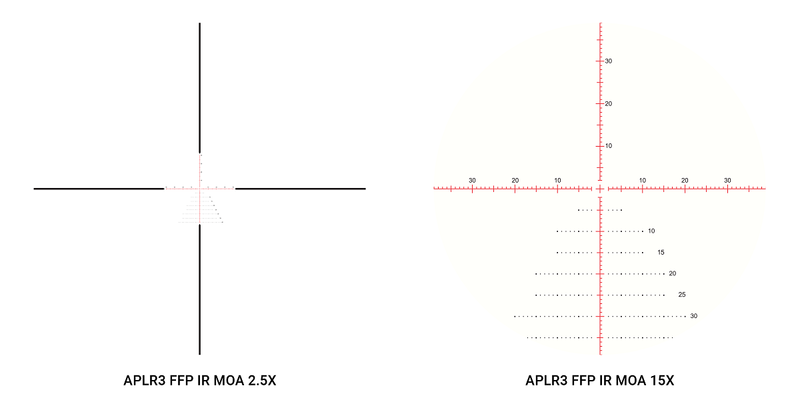 The reticle when on 15x allows for a 0-40moa holdover and 0-40moa windage either direction. If there is not time to dial or if for some reason the total elevation adjustment of 100moa just isn’t enough, the reticle will be very useful. I never found myself feeling the need to use the illumination for the reticle as I had zero issues, even in low light. While I like the option for a hold over, I really prefer a solid and repeatable turret system. When Athlon first released the Ares BTR, there were some complaints by a few that the turrets were mushy and didn’t really have a good audible detent or click. The sample I tested has the upgraded turret system. I could tell this by the cap on the top having the screw vs. being just a flat top cap. Now I never did try or use the original turret, but the current system is very firm, the best in the options I have tried. It was also very audible. You would have to be extremely picky and have become used to much more expensive models to complain about this system. The erector system is made from stainless steel and from what I’ve read on the web it seems many have found it to be very reliable. In my short testing, I really can’t comment on long-term reliability, as I’ve only been testing this scope for three months. I did the standard box testing and the tracking was spot on without any variance or irregular tracking. While I think the box tracking is a good test, in real-world use, I’ll just be dialing the elevation and using the reticle for windage. This reticle is very easy to use in that regard. There is a video on Athlons website showing their tracking test; it is spot on to what I found. As mentioned, I feel good optics are a must, but I just don’t need or require the same optical performance out of a rifle scope as I do my other optics. 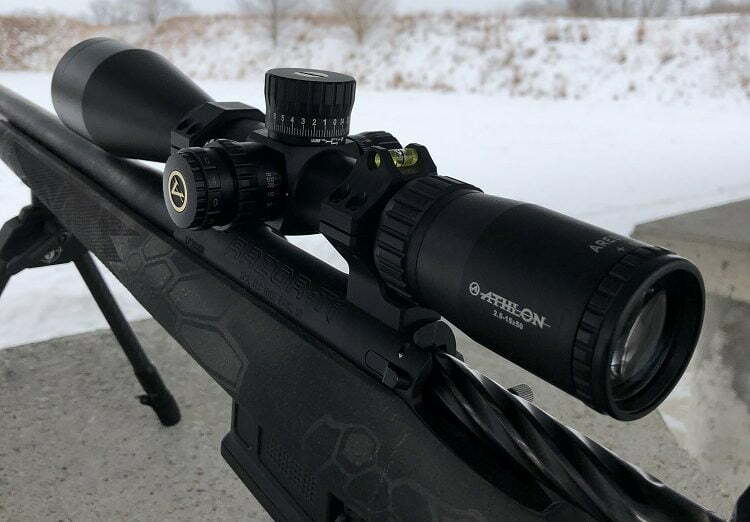 While the Athlon did not disappoint–and for an MSRP of $799.99 as of writing this–I think the optics are equal to the Nightforce SHV line and better then the Vortex Viper HST and Sig Whisky 5 (Gen 1). Since I was reduced to comparing this Athlon against only the Swarovski Z5, I did add my Kowa 553 spotting scope into the mix just for fun. 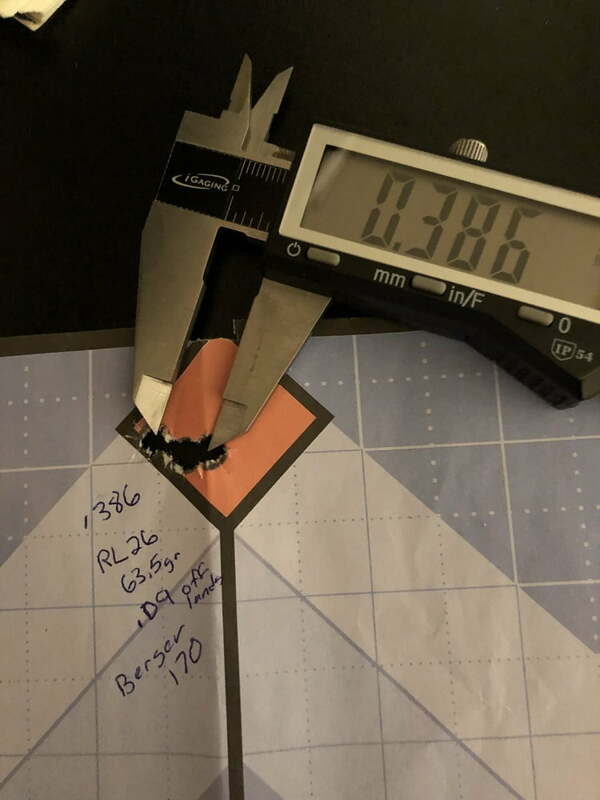 Yes, I know not a fair comparison, but I tested them all on 15x and used the USAF resolution chart at 100 yards. This test really exposes the differences in the optical quality. I found that the Athlon does not have the resolution of the Swarovski and the Kowa is better than both–so we’ll focus on the Swarovski Z5. The Z5 resolves detail better and if you are looking into a dark bush you’ll see more detail, but is this needed? In my opinion no. I need glass that is good, but it doesn’t need to resolve every little detail unless the price points are the same, and obviously they are not. Edge-to-edge clarity is great on the Athlon but it just wasn’t as clear as the Swarovski. The last light difference between the Swarovski and Athlon is close, but the Swarovski does edge it out, even with a smaller objective of 44mm (vs. the 50mm); but within the legal limits of first and last shooting light they are close. Now for a scope that is 40% cheaper, I was impressed for how close it was to the Swarovski Z5 overall. 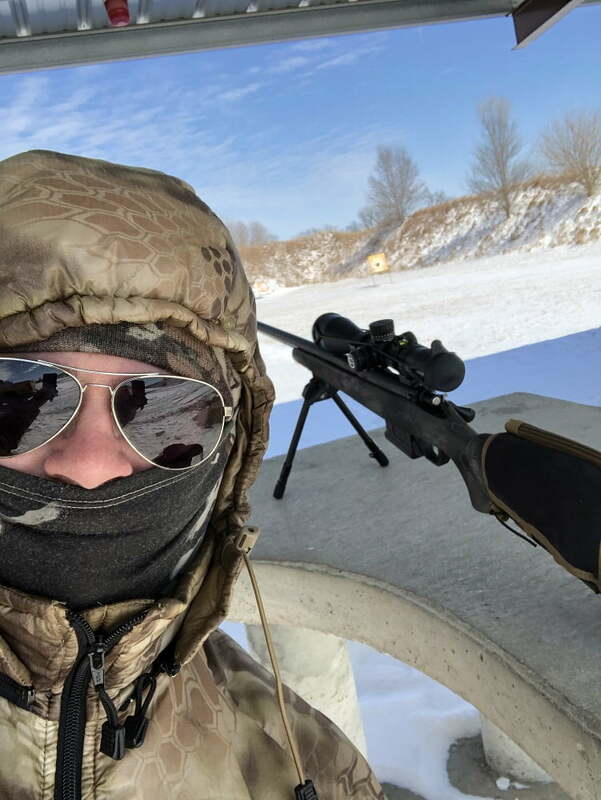 To note, I tested this scope in temperatures ranging from 3 to 50 degrees F and did not once experience fogging or any other issues that some scopes seem to have in these extreme temps. Overall, I’m extremely impressed with what Athlon has released in the Ares BTR. This rifle scope is a great option in a field of many and I don’t think anyone would be disappointed in picking this over anything in the $1200 and lower price range. While I didn’t have every possible option available to compare, and while I’m sure there are other good options out there, I would be hard pressed to think anything really does a better overall job at this price point. I look forward to further testing and using it this coming hunting season for more long-term testing. I have put over 300 rounds under this scope and probably close to 25-plus hours of looking through it without any change in zero. 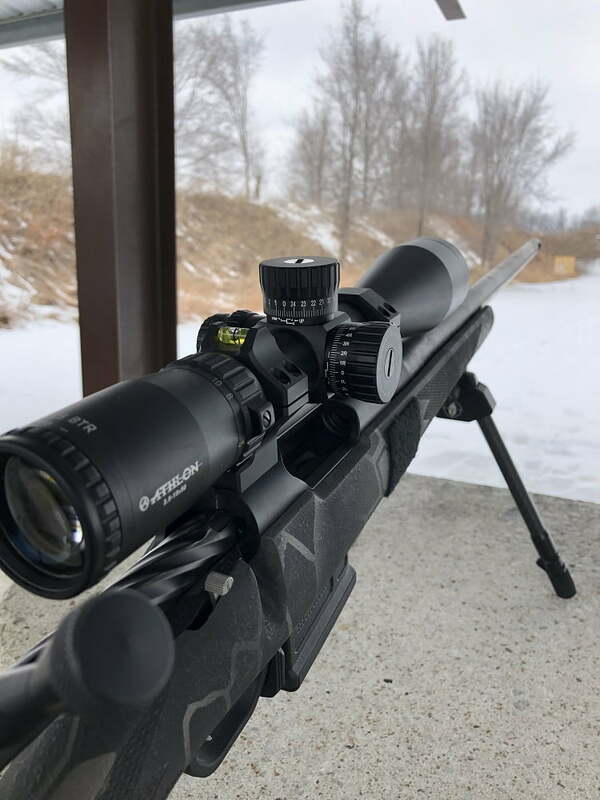 I’ve had my best groups ever shot while using this scope and find that it meets all the criteria I’m looking for in a rifle scope with very good optics, firm and repeatable turrets, and an easy-to-use reticle that is not too obtrusive. For anyone in the market for a new rifle scope, who wants to dial and test their limits at shooting further than a few hundred yards, I highly recommend giving the Athlon Ares BTR a try. I’m sure you’ll be hard pressed to find a better overall value to price. Give Doug at Cameralandny a call at 516-217-1000. For best pricing, be sure and mention this Rokslide review. You can comment on this review or ask Tim questions here. Join our mailing list to receive the latest news, updates and giveaways from the folks at Rokslide.